Plumbing Services in Singapore: How To Find Good Plumbing Service in Singapore? How To Find Good Plumbing Service in Singapore? One of the first things which would breakdown in your house, no matter where it's located is the plumbing. Basically, a pipe in your home may start dripping or may get clogged. This may leave you requiring a plumbing service. However, it is not always that you will find a good plumber who will tackle your plumbing issues as you want. This article will focus on discussing some of the effective tips you should put into consideration that will enable you find a good plumber in Singapore who will perfectly tackle your plumbing issues. Read on to know more on this. 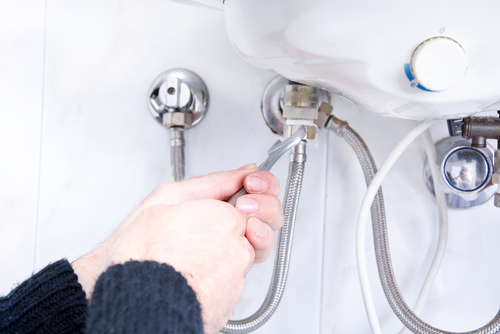 The best time that you should choose a plumber is before you start experiencing plumbing emergencies. Unfortunately, most individuals usually think of looking for plumbers once they start experiencing plumbing issues. This may make it difficult to a find a good plumber who will perfectly solve your plumbing issues as you want. Let us now have a look at some of the tips that can help you find a good plumber in Singapore to tackle your different plumbing needs. The most basic rule usually is to ensure that the plumbers are licensed and are carrying full insurance which protects you as well as the property of your neighbour in the event of any catastrophe. Asking for references is an ideal way you can use to know how the plumbers have been performing recently. You can read the plumbers twitter feeds and Facebook pages and see how they have been interacting with their different customers in the past. Theoretically, reputable firms should last, while the disreputable ones should fail. However, that is not usually the case. It is thus important that you opt for a plumbing service firm or individual who have been in this business of plumbing for quite some time. Also, this is ideal because the longer the person may have been offering plumbing services the more experience he or she is likely to posses. This is usually among the most effective ways you can use to find a good plumber that will tackle your different plumbing issues properly. Thus, it is important that you ask a colleague, relative or friend that you trust for recommendation. Since you do not want your current plumbing issues to always provide you with a regular headache, it is essential that you look for a plumber who will give a warranty of at quite two years. A warrant is important since it will ensure that in case the problem recurs again, the plumber sorts it out without having to charge you again. Last but not the least; ensure that you make use of these tips if you want to a find a good plumbing service in Singapore. Thank you.